Donating a portion of corporate revenue or profits is nothing new, and many of the long-standing players have their own unique takes on this tactic. Target donates to schools based on shoppers using their REDcard, for example. Target also sold donations for clicks in their Give with Target campaign. Different mechanisms engage different audiences. There have also been collaborative shopping sites where a percentage is up for grabs if people shop. 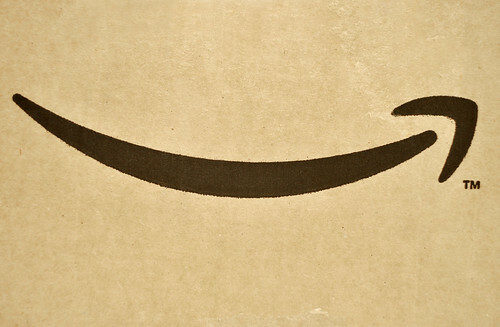 October 30 saw the launch of the still-expanding Amazon.com market to this tactic. Amazon Smile will donate .5% of eligible purchases, and Amazon says “tens of millions” of items are eligible. (A quick survey of recent Next in Nonprofits purchases found all of them eligible.) One of the problems with these sorts of donation programs in the past has been getting people to use the special bookmarklet or the come through the collaborative shopping site. Amazon makes that a lot easier by – well – by being Amazon. The retailer already has your wishlist, your credit card, your shopping history, and for many people who have a Prime membership, free shipping. Amazon has put a few big charities up on their page for shoppers to consider, but in a very Amazon-like fashion, they have a search box where you can select a different charity. And Amazon did what big data companies do – they got the Guidestar list of nearly every charity in America and will let the customer choose from the biggest list they could get. The charity you select doesn’t even have to know about this program yet. If a customer selects a smaller nonprofit that doesn’t yet have an account with Amazon (say, Cycles for Change in Saint Paul, Minnesota), Amazon will contact them via their Guidestar information and ask them to set up an account to receive their donations. Many charities will never receive this notice, but Cycles for Change will get such a notice this morning. So now the ball is in the charities’ court. It is not possible to chase every possible donation-with-sale giving program, and it won’t be effective to do so. Schools may well be better off with the REDcard. Other charities may use existing sites because they have established marketing and community experience with their choice. It won’t be worth the time for every nonprofit to have a marketing campaign to get a portion of Amazon sales; it will be a crowded space. Some nonprofits, however, have loyal followers. Many of those followers already have accounts at Amazon. Charities can register at org.amazon.com. Smaller nonprofits which haven’t yet gotten into the game may wish to consider the growing power of Amazon as a way to capitalize on consumer spending with little effort. Whatever path a charity chooses, it is important to realize tools that integrate big data sources such as Guidestar will only continue to grow, and the savvy nonprofit will be very intentional about keeping that info up to date. The big players are there, and the question will be how easy the small- and mid-sized nonprofits will make it for customers to find their cause in the crowd.